Please select an option Silver Rose gold Gold Please select a Color. 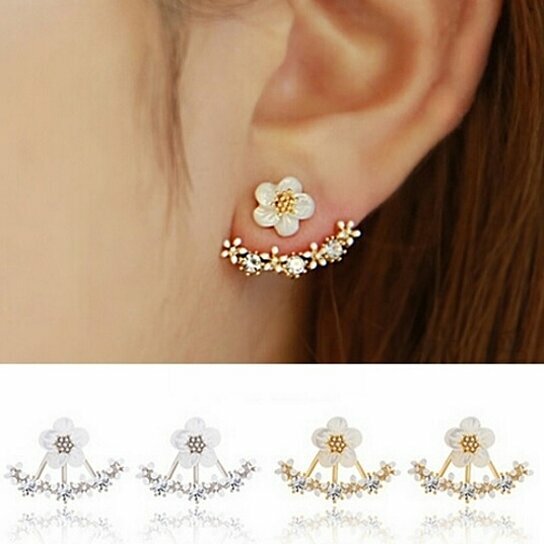 Love these gorgeous flower studded ear jackets. Available in 3 versatile colors; Rose Gold, Silver, and Gold. Featuring a main flower, dressed with a trio of sparkling cubic zirconia stones surrounded with smaller cute flowers.